Don't fret over limited oven space for thanksgiving. Try these healthy pan fried sides. 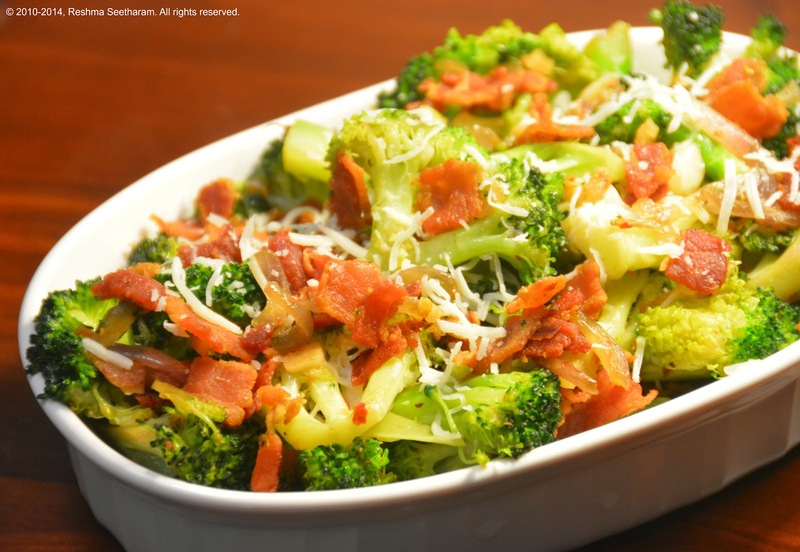 Cook the bacon pieces in a large, heavy saute pan until crisp, about 4-5 minutes. 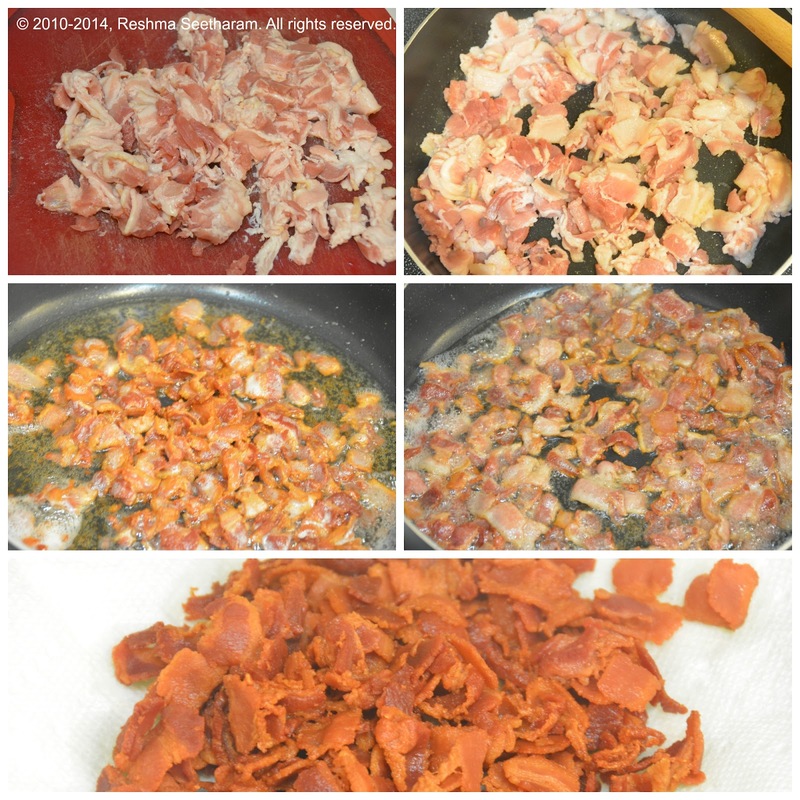 Remove the bacon onto a paper towel-lined plate to drain. Spoon off the excess bacon grease, leaving about a tablespoon in the pan. Add chopped garlic, onions and red pepper flakes. 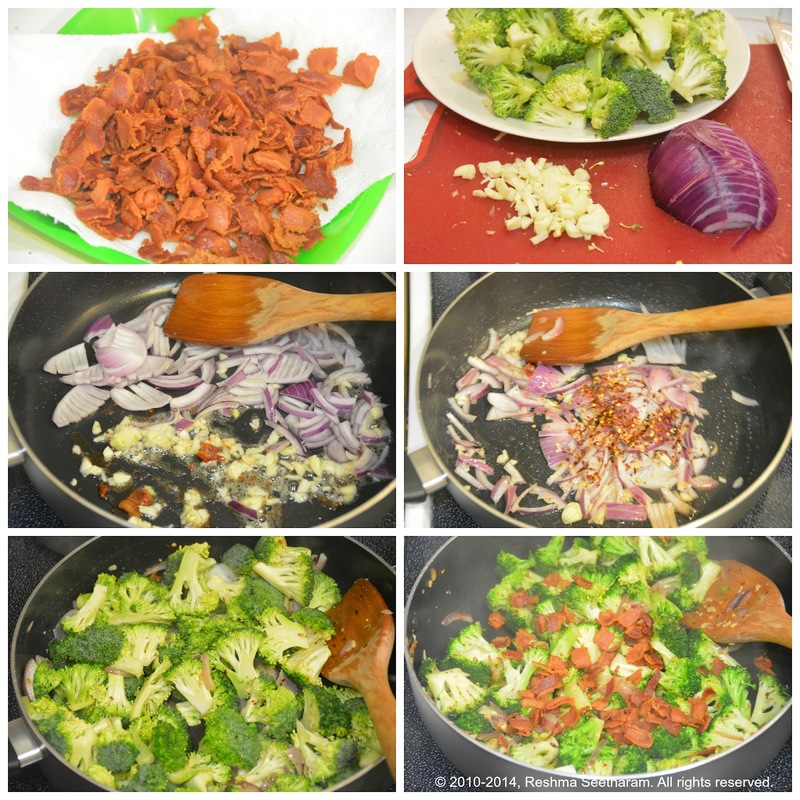 Saute for a a few seconds and add in the broccoli. Toss to combine. Sprinkle salt and pepper. Roast the broccoli on high for about 6 to 8 minutes until broccoli is tender and the edges are slightly singed. I love to sprinkle some mozzarella on top of it and broil it the for a minute or two.